When I received the new Oculus Rift last month, one of the bundled accessories was a wireless Xbox One controller with a wireless USB adapter. Curiously, despite my system being completely up-to-date, the plug-and-play driver installation was never able to succeed correctly. I have seen similar issues pop up occasionally on Facebook and other discussion groups. The official Microsoft support link on troubleshooting the wireless adapter suggest a wide range of potential solutions, none-of-which helped in my situation. At the end of the first solution that most closely matched my issue ("The adapter didn't auto-install"), Microsoft tells the reader to attempt the uninstall/update process once more and "if this doesn't work, your adapter needs to be replaced." Luckily that isn't really the case and the fix only takes a moment to apply. The Xbox Home button on the controller continues to slowly pulse when powered on, never staying solid. The Xbox One controller does not appear in Devices and Printers. The LED light on the adapter does not come on at all when plugged in, even after pressing Sync button. The Device Manager shows an "XBOX ACC" entry in Other Devices with an explanation mark. In short, you'll need to manually download compatible drivers on Microsoft's site and then update the missing device drivers accordingly. Sadly, Microsoft does a fantastic job of hiding these files deep within their site. The main Software Downloads page for the controller only includes links to the user guide and specs sheet, no drivers. Microsoft assumes that the plug-and-play adapter will install without issue—and in many cases I'm sure they are correct, just not always. The only official way to get at these drivers is through Microsoft's Software Catalog site, which begrudgingly restricts its usage to Internet Explorer browsers. That said, here's a quick way to get what you need and have your controller up and running in minutes! First, determine whether you are using a 32-bit or 64-bit operating system. You can press Windows Logo + Pause/Break if you need to verify your system type. 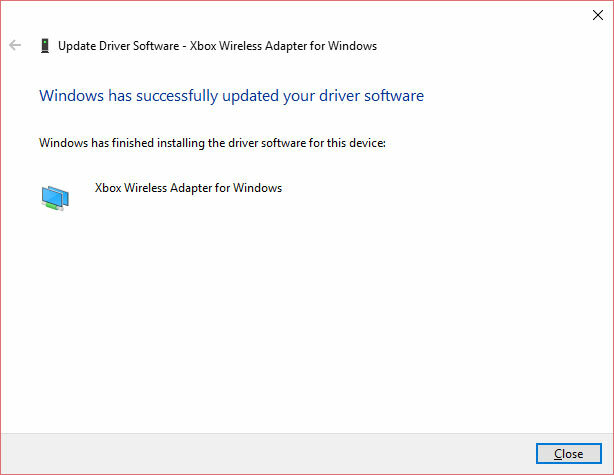 The top two results will be for the 32/64-bit drivers for the Xbox One Wireless Adapter. Click Add next to the correct one for your system. Once the correct driver has been added to your download basket, click on View Basket (1) in the top-right of the page. On the following page, verify your selection and then click Download. Click "Browse" and navigate to the temporary location you wish to download the drivers to; the Desktop is just fine. Click Continue and once the download lists as "Done" you can close all Internet Explorer windows. Finally, navigate to the downloaded file. It will have a .cab extension. Open this file in 7-Zip or WinRAR and extract its contents somewhere. Plug the wireless adapter into any USB port on your computer; you should hear a sound effect. If the Device Setup window appears, wait until it is finished. Go into the Device Manager (Windows Key + Pause/Break > Device Manager). You should see XBOX ACC listed under Other Devices. Right-click this entry and select Update Driver Software. Click "Browse" and navigate to where you previously extracted the .cab files to. Then click OK and Next. The proper driver should then install and within a few seconds you'll get the message that the driver has been successfully updated. Click Close. 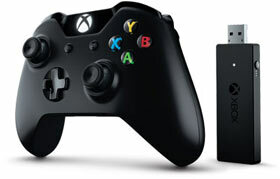 The device will then show up as Xbox Wireless Adapter for Windows under the Network Adapters category of devices. Press and hold the Sync button on the adapter until it starts flashing. Once the adapter is flashing, press and hold the Xbox controller bind button front of the controller until the Xbox Home light flashes rapidly. In a moment, the light on both the adapter and the controller should light solid. You are all set! Finally, consider downloading Xbox Accessories from the Windows Store to fully customize the gaming controller and update its firmware. Note that I have seen a few people report issues using the wireless adapter in USB 3.0 ports. I have never experienced this issue on my machine and don't think you will either (it is rated for use in either). Of course, there is no harm in using a USB 2.0 port if needed.